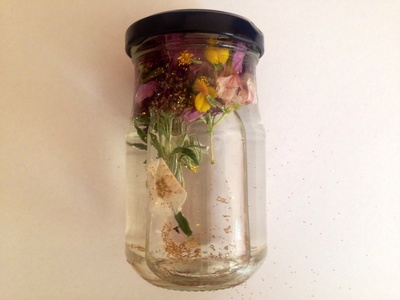 Have fun making your own glitter petal perfume. It's a lovely activity for pre-schoolers on a sunny day. It's a cheap and easy activity to do in a larger group. 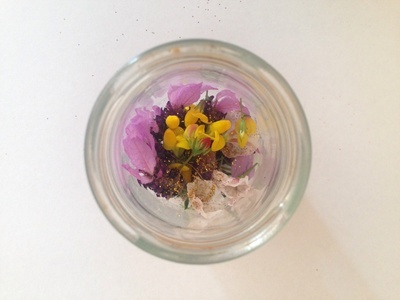 Give your pre-schooler a small empty jar and let them collect small flowers and petals from a garden or they could select from a pile you have already collected. Try to pick flowers, petals or leaves with a strong scent - e.g. lavender. Add a shake of glitter on top of the petals. 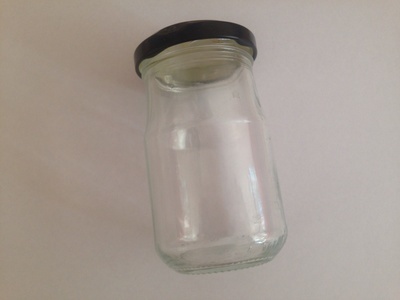 Fill the jar with water then close the lid. After a few days, scoop out the petals and flowers leaving a glittery liquid. Your glittery petal perfume is now ready.